It can be used with vacuum or pressure impregnation to remove trapped gas. 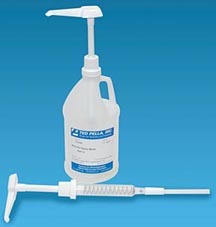 The cured resin is extremely hard, optically clear and has excellent bond strength. It gives excellent edge retention during grinding and polishing of metallographic samples. Polymerization time is 24 hours @77°F (25°C). 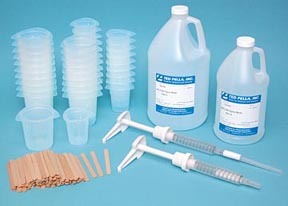 Mixing ratio is 3:1 per volume (resin 3 parts to hardener 1 part).